A subsidiary of a global leader manufacturer of tools has invested in a compact machine for the induction hardening and tempering of their tools. Behind the investment lies the need to achieve two main goals: improve product lead time and guarantee product quality to the end customer. To enact these they need to replace the current process consisting of hardening large batches in third party ovens with an in-factory lean process of small batches and total control of the value chain. The solution provided by GH Induction, TVK-S350, has allowed the company to familiarize with the application of induction in order to homologate and approve the treatment for each tool separately before replacing the total production process. 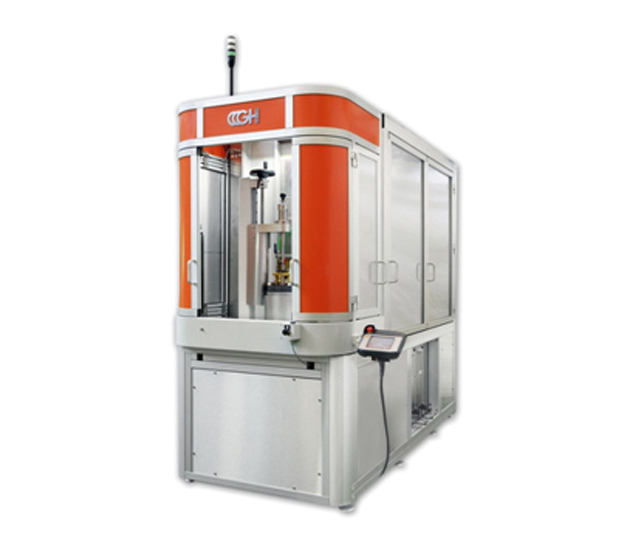 The TVK-S350 model is a high-compact machine including all necessary components: power supply, oscillator, cooling, etc... It is extremely easy to operate and simple to maintain. Any manufacturer, without previous induction experience, can easily integrate this machine among their own production processes with a quick return on investment guarantee. The TVK family has a modular concept to meet simple or more complex requirements with a very affordable pricing and really short lead times. GH Induction Group is a European group of companies specialized in induction heating for industrial applications. Founded in 1961, GH has more than 4.000 establishments in 40 countries worldwide. Brands like GKN, CIE, Neapco, Skoda, Opel and BMW have trusted GH for long time and continue to do so. GH’s customers come from almost any industry sector: tube and pipe, cable, wind power, aerospace, electro-technical and more.